This book and Manifesto was not written in Leonard’s past where he can just try to explain it away; rather it was written and then published in June 2010. “I wrote a book 20 years ago called Quantum Spirituality, and a few years ago made it available as a free download on my website. Back when “New Age” was a movement, I was inspired by the brilliance of the Apostle Paul in evangelizing pagans, to show how even New Agers, like atheists or other non-Christian groups, could be evangelized for orthodox Christianity if only we learn how to speak to them. For example, the recovery movement language of “higher power” or “higher consciousness” can be turned into “Christ consciousness.” Instead of “New Age,” we might adopt and adapt the “New Light” language of Charles G. Finney, the founder of modern urban revivalism and the leader of the Second Great Awakening, who called his followers “New Light” evangelists because they used new methods like altar calls and hymns to bring early 19th century Americans to a saving knowledge of Jesus Christ. Yet the book is still offered on his website so at no point do I see that Len disagrees or repents of what he states in Quantum Spirituality. So I would have to say that Len agrees with what he wrote but disagrees with the conclusions others including myself came to. Actually on Sweet’s site it lists this book as already called “a spirituality classic,” Quantum Spirituality: A Postmodern Apologetic is the book that launched what today is called “postmodern publishing” as well as Len’s ministry to postmodern culture. A book written in a circle, the reader is invited to begin anywhere, stop anytime, and end wherever. This was Len’s “coming out” book as a postmodern disciple after his 1987 knockdown, drag-out Damascus Road encounter with God, who (as he describes it) “knocked me off my high academic horse and said, ‘Sweet, are you going to get a mission for the world you wish you had or the world that’s actually out there.” So its obvious Sweet does not disagree with the writing or conclusions he came to. While some Len Sweet defenders have argued that Sweets hybrid post modern “New Light” apologetic simply flies right over the heads of “old light” fundamentalist types, the facts tell a much different story. Sweet is trying to transform biblical Christianity into a quantum/postmodern/New Light/New age/ New Spirituality. Without apology Sweet writes that he is part of a “New Light Movement” and he describes those he especially admires as “New Light Leaders.” Len lists New Age leaders Willis Harman, Matthew Fox (who the Catholic church kicked out as a heretic) and M. Scot Peck. Now some of my detractors would not consider the above either new age or non Christian even though all have played leading roles in the building of today’s New Age/New Spirituality movement. How then can these men be Sweet’s role models and heroes? A self professing Christian leader should be warning the church about these New Light leaders not holding them up. Willis Harmon (1918-1997) was a social scientist/futurist with the Stanford Research Institute where he started a futures research program. Later he was President of the New Age Institute on Noetic Sciences and well connected to many fellow new age leaders. In the late 70’s a group of Evangelical leaders openly met with Willis Harman. These Christian leaders were exploring new and alternate views of the future. Disregarding the prophetic teachings of scripture they were looking for a more optimistic and hopeful view of the future other than the one plainly stated in the Bible, probably hoping to turn God and His Word into their image instead of the other way around. Discernment Research group reports “These consultations on the future represent the first publicly disclosed occasions where Evangelicals and New Agers met together to discuss and address common ground. Another one of Sweet’s “personal role models” and “heroes” is Episcopalian priest Matthew Fox. Fox is a former Catholic priest who was excommunicated from the Catholic Church for openly professing the heretical teachings of Jesuit priest Pierre Teilhard Chardin (and other new age teachers), who is frequently referred to as the father of the new age movement. (my comment-this doctrine is not based in scripture but in Sweet’s own mind). The Oxford Dictionary of the Christian Church (1974) identifies the difference between pantheism and pan-entheism: Pantheism is the belief or theory that God and the universe are identical”; panentheism is “the belief that the Being of God includes and penetrates the whole universe, so that every part exists in Him, but.. that His being is more than, and is not exhausted by, the Universe.” New Light spirituality does more than settle for the created order, as many forms of New Age pantheism do. But a spirituality that is in some way entheistic (whether pan or trns), that does not extend to the spirit matter of the cosmos, is not Christian. A quantum spirituality can no way define God out of existence. This panenthestic God-in-everything teaching by Leonard Sweet is the foundational teaching of the New Age/New Spirituality. M. Scott Peck, another one of Sweet/s heroes in A Different Drum, states even though he saw himself as a Christian he believes that salvation of the world lies in community, not so much as accepting Jesus Christ as ones Lord and Savior. We can never forsake unity for the sake of sound doctrine. Sound doctrine will always divide sheep from goats. And of course this is exactly what Jesus did not do-nor did His disciples. They died living by God’s Word and God’s rules rather than trying to change those rules to save their own skin. Sweet’s buddy and friend Brian McLaren has been talking about a new kind of Christian and everything must change. The Bible describes this new kind of Christian in Rev. 17. Go back to the opening statement-The Bible does not offer a plan or a blueprint for living. I ask you do you really need to read any further? Some thoughts and information were taken from my friend and brother in the Lord Warren Smith in a book called “A Wonderful Deception.” For more information on the new age infiltration of the church I would suggest you purchase the book. Who is Leonard Sweet? He is described as an author, preacher, scholar, futurist and ordained United Methodist clergyman. On his website is this: “These are but a sampling of responses to Len’s three-ring mission: as a historian of American culture; as a futurist/semiotician who “sees things the rest of us do not see, and dreams possibilities that are beyond most of our imagining;” and as a preacher and writer who communicates the gospel powerfully to a postmodem age by bridging the worlds of academe and popular culture. Is it not a bit frightening that a pastor, or any other self professing Christian for that matter, claims that he sees things others cannot see? And that their imaginations are limited compared to his? If we believe what he says in one instance, how do we know when he errs in his pronouncements? Leonard Sweet is a big hit in evangelical Christian circles. He is very popular among Nazarene emergents and with many Nazarenes in general, and has spoken at Pastor Leadership seminars. He spoke at a leadership conference at European Nazarene University last year, along with Jon Middendorf, one of the leading emergent church promoters and ecumenists in the Nazarene denomination. He uses the cool sounding hip terminology of “follower of Christ” instead of Christian. He calls John Wesley the founder of my “tribe”, another cool hip emergent word instead of…denomination? In many places where he is a conference speaker, there often seems to be a connection with other Nazarenes. Recently he was a speaker at a conference called “Synergize 3!”, which had a theme “Where The Global Church Gathers To Save the World.” (Can someone explain to me, what is synergizing??) There were several Nazarenes as featured speakers, including a Nazarene General Superintendent, Dr. Stan Toler. Yet in all this defense, he did not renounce, and has not yet done so, this book and others such as Soul Tsunami; he continues to sell these books on his website, which does not make sense; and now he continues with more of his mystical mumbo jumbo. Yet, look for him to be a featured speaker again at the next Pastor’s Leadership conference. Where does Leonard Sweet come up with the teaching that “your soul needs three sacred spaces?” Is there really power in these natural spaces to restore us spiritually? Christ is not enough and all that we need? Apparently this is part of his ability to see things the rest of us can’t see! Can you see the problem here though? None of this is Scriptural! Can we all please wake up to the absurdity of this man’s imaginations? The time is long overdue for Bible believing evangelical leaders, including Nazarenes, to part ways with Leonard Sweet, until he repents from all this foolishness that he is trapped in and is disseminating to countless Christians. Until then, we should not be associating with him as if his theology is sound. It clearly is not. For a thorough treatise of many of his quotations from various books, I recommend you read Sandy Simpson’s article at his website: http://www.deceptioninthechurch.com/leonardsweetquotes.html. I have attached the same article for those who want to add to their resource library. Why this New Age sympathizer (Sweet) continues to speak at Nazarene seminars and churches is beyond me, folks. He recently made an explanation on his website and said he was not into New Age or mysticism, but why does he still sell his books like “Quantum Spirituality?” Why does he not renounce these things but instead stays silent about what he has written, and about those mystics that he has previously recommended? Crocker, by the way, is linked with Rick Warren’s PEACE Plan website, and if you look at the five acronyms of the PEACE Plan, don’t look for anything that mentions preaching the exclusive gospel of Jesus Christ. That would be too offensive for Rick Warren to proclaim on his ecumenically oriented website. Warren has been connected with Sweet in the past, and collaborated with him on an audio project called Tides of Change. Warren also endorsed Sweet’s book, Soul Tsunami. Leonard Sweet Again. Sweet has now been welcomed at Olivet Nazarene University. Sweet just spent three days at Olivet this past week, including a scheduled chapel appearance today, April 21. Anyone concerned with the state of our Christian universities may want to keep a close eye on Olivet, which seems to be one of the few conservative leaning schools in the Nazarene denomination. We should never, however, take anything for granted. As Ronald Reagan once said, “trust but verify.” Here is a post by ExNazarene that mentions Olivet and its decision to remove a professor who was teaching that evolution is compatible with scripture. It’s possible that many at Olivet, including leadership, are not aware of the strange New Age type writings in Sweet’s books. He may very well have preached a solid message to the students today in chapel, but they may not be aware of what he promotes in his books. If your interests are particularly connected with Olivet, especially parents, alumni, and students, I would recommend asking some of the leadership as their knowledge of what Sweet has written, and offer to give them evidence of his non so orthodox writings. After all, Rob Bell claimed recently that he is an orthodox-type evangelical, but just saying it does not make it so, does it? Recommended book: A Wonderful Deception, by Warren Smith. Mr. Smith was formerly entangled in New Age occultism for years until he became a Christian. In this book, he includes several well-documented chapters on Leonard Sweet and his “quantum spirituality”, “New Light” spirituality, “christ conciousness”, and other strange theology which is clearly not Bible based. The fact that false teachers (servants of Satan) appear as ministers of righteousness and speak with smooth sounding and pleasing words is why such as Leonard Sweet, Brian McLaren and Rob Bell have fooled so many who have lost the ability to discern truth from error. These are the most dangerous, because they don’t openly reject the truth, but claim to be Bible believing Christians, but as is emphasized in the following article, they are liars. Brothers and sisters, we really do need to keep speaking out about these people. Who says we need to protest only once or twice, and then go away? They certainly won’t go away, and our church leadership needs to continually hear our cries on behalf of those many students in our universities being exposed to these liars every day. Some of our pastors are still being introduced to Leonard Sweet as a reliable teaching source, who is trying to remake himself in a better light even as he is being exposed like the emperor without clothes was exposed. The truth, however, is making these people try to dodge the bullets and hide their real ideology, but lack of true repentance and changing of their ways is evidence that they are still wolves in sheep’s clothing. Please do not fall for this makeover that Leonard Sweet and others are trying to do. It’s not genuine, because there is no genuine repentance. And for an exposé of Sweet’s fake makeover and his attempt to set aside his New Age thinking, listen to the CrossTalk online discussion, or read the article from CrossTalk Blog. Sweet is scheduled to appear at a Mid-Atlantic District Event. Leonard Sweet: A Good Choice For Pastor’s and Leader’s Conference? Sweet will speak not only once, but twice, in the two major plenary sessions. Did Northwest Nazarene University staff specifically ask for him? Or is there someone else responsible for selecting Leonard Sweet to speak not only here, but apparently at other Nazarene events for pastors and students? Will Leonard Sweet hide his true beliefs when he speaks at the plenary sessions, by “playing it safe” and saying things that are more palatable for Nazarene pastors to hear? If so, is that acceptable, in spite of his ideology and the grossly New Age like flavor of several of his books? Following is an article by David Cloud from Way of Life. After reading it, does it make you ask the question: how is Leonard Sweet a good choice to speak to pastors and students at Christian universities, and why? What does his ideology have to do with holiness preaching, or sanctification, or Nazarene doctrine, or most importantly- Biblical doctrine? What does Leonard Sweet have to offer to pastors, that will contribute to a “fresh move of God?” Will Leonard Sweet with all this baggage he carries with him, really help “mold us more clearly into the people and church God envisions?” Where are the biblically solid evangelists, pastors, and leaders of today, who are better qualified to speak to pastors, than someone who is not biblically sound and is a New Age sympathizer, based on his own writings? Is there even any record of Leonard Sweet’s testimony of salvation through repentance of sin and forgiveness by Jesus Christ? Is there a Nazarene pastor out there who can respond and give us a solid Bible based reason that Leonard Sweet is a good resource for ANY Christian? If he is not a good resource, may I suggest that he not speak anymore at Nazarene events, but at the same time, let’s pray that he will repent of some of his works, and that he will reject his spurious teachings and books. Until then, it seems that those who might be ready to criticize me (its predictable, believe me) for using as a resource a solid Bible based Baptist preacher as David Cloud here, have no leg to stand on if they defend Leonard Sweet’s ideology. Leonard Sweet is a United Methodist clergyman, E. Stanley Jones Professor of Evangelism at the very liberal Drew University, and founder and president of SpiritVenture Ministries. He is the author and co-author of 34 books, including Quantum Spirituality: A Postmodern Apologetic (1991), Soul Tsunami (1999), Postmodern Pilgrims (2000), Carpe Manana: Is Your Church Ready to Seize Tomorrow? (2001), Jesus Drives Me Crazy (2003), and The Gospel according to Starbucks (2007). He was twice voted “one of the 50 Most Influential Christians in America” by ChurchReport magazine. Southern Baptist pastor Rick Warren recommends Sweet’s book Soul Tsunami (his recommendation is printed on the cover), which says, “It is time for a Postmodern Reformation … Reinvent yourself for the 21st century or die” (p. 75). Warren and Sweet collaborated on an audio set entitled Tides of Change, and Sweet was scheduled to speak at Saddleback Church in January 2008 for a small groups training conference. In an undated blog that I viewed on May 17, 2010, Sweet complains about his critics and pretends that he is being wrongly persecuted. He rejects the charge that he is a New Ager and says he does not believe in the divinity of man. He further (and amazingly) pretends that he is theologically sound. Actually, the man is speaking out of both sides of his mouth. He is a master of doublespeak. If Leonard Sweet truly does not hold to a New Age philosophy, he needs to publicly renounce his books Quantum Spirituality and Carpe Manana. He needs to apologize publicly and loudly for his non-critical recommendation of New Agers. He needs to publicly and loudly expose and rebuke the errors of the heretics he has foolishly recommended. He needs to stop pointing the finger at his “critics” and point the finger at himself in deep repentance. Consider the following facts from Sweet’s own books. Sweet promotes a New Age-like, universalist-tinged spirituality that he calls New Light and “quantum spirituality” and “the Christ consciousness.” He describes it in terms of “the union of the human with the divine” which is the “center feature of all the world’s religions” (Quantum Spirituality, p. 235). He defines the New Light as “a structure of human becoming, a channeling of Christ energies through mindbody experience” (Quantum Spirituality, p. 70). “Quantum spirituality bonds us to all creation as well as to other members of the human family. New Light pastors are what Arthur Peacocke calls ‘priests of creation’–earth ministers who can relate the realm of nature to God, who can help nurture a brother-sister relationship with the living organism called Planet Earth. This entails a radical doctrine of EMBODIMENT OF GOD IN THE VERY SUBSTANCE OF CREATION” (Quantum Spirituality, p. 124). “New Light embodiment means to be ‘in connection’ and ‘information’ with all of creation. New Light communities extend the sense of connectionalism to creation and see themselves as members of an ecological community encompassing the whole of creation. ‘This is my body’ is not an anthropocentric metaphor. Theologian/feminist critic Sallie McFague has argued persuasively for seeing Earth, in a very real sense, as much as a part of the body of Christ as humans. We are all earthlings. … WE CONSTITUTE TOGETHER A COSMIC BODY OF CHRIST” (Carpe Manana, p. 124). Sweet calls for a “New Light movement of ‘world-making’ faith” that will “CREATE THE WORLD THAT IS TO, AND MAY YET, BE” (http://www.leonardsweet.com/Quantum/quantum-ebook.pdf, p. 12). He says the New Light was experienced by Mohammed, Moses, and Krishna. Sweet says that some of the “New Light leaders” that have influenced his thinking are Matthew Fox, M. Scott Peck, Willis Harman, and Ken Wilber. These are prominent New Agers who hold a pantheistic philosophy and believe in the divinity of man, as we have documented in the book The New Age Tower of Babel. “Mysticism, once cast to the sidelines of the Christian tradition, is now situated in postmodernist culture near the center. … In the words of one of the greatest theologians of the twentieth century, Jesuit philosopher of religion/dogmatist Karl Rahner, ‘The Christian of tomorrow will be a mystic, one who has experienced something, or he will be nothing’” (Quantum Spirituality, 1991, pp. 11, 76). To call Rahner a great theologian is irrefutable evidence of Sweet’s spiritual blindness. Rahner was a Jesuit priest who believed in evolution and in salvation apart from personal faith in Christ. He spoke of the “anonymous Christian,” referring to an individual who unconsciously responds to God’s grace operating in the world, though he might even reject the gospel. “His approach allows him to suggest that the beliefs of non-Christian religious traditions are not necessarily true, while allowing that they may nevertheless mediate the grace of God by the lifestyles which they evoke–such as a selfless love of one’s neighbor” (“Karl Rahner,” http://www.island-of-freedom.com/rahner.htm). Sweet defines mysticism as an “experience with God” in the metaphysical realm that is achieved through “mindbody experiences” (Quantum Spirituality, 1991, p. 11). Sweet also cites as a major influence the Catholic-Buddhist mystic Thomas Merton. Sweet says humanity needs to learn the truth of Merton’s words, “We are already one” (Quantum Spirituality, p. 13). Merton was a universalist and a panentheist. If Sweet is theologically sound as he professes in his blog, why does he recommend Merton? Why doesn’t he rather warn his readers of Merton’s gross heresies? In emerging church fashion, Sweet is extremely relativistic and vague about doctrinal truth. For him everything is experiential. He acknowledges that “revelation has occurred” but this revelation only gives us “universal moral truths” and even these broad truths cannot be dogmatically understood because “knowledge about these truths is socially constructed” (Postmodern Pilgrims, p. 146). He says, “Objectivity can no longer be the sole objective of the pursuit of truth” (p. 146). Sweet quotes Lorraine Code as saying that “subjectivity–however conflicted and multiple–becomes part of the conditions that make knowledge possible” (p. 149). Sweet is supportive of the poet Robert Bly who said that he had no idea of the meaning of the ending of one of own poems (p. 149). Sweet says: “For Jesus truth was not propositions or the property of sentences. Rather, truth was what was revealed through our participation and interaction with him, others, and the world” (Postmodern Pilgrims, p. 157). Kali is the Hindu goddess of destruction. Krishna is the supposed incarnation of the Hindu god Vishnu. We are told that “as a youth, Krishna enchanted and intoxicated the cowherd women with his flute playing; he teased them and made love to them” (Indian Gods, Kent: Grange Books, 1998, p. 45, 47). Krishna’s flute playing is said to “pull virtuous women from their homes and drag them to Krishna” and to make “chaste ladies forget their lords” (David Kinsley, The Sword and the Flute). We would like to know exactly what “flickers of the sacred” Leonard Sweet finds in Kali and Krishna. Do these supposed “flickers” put their adherents into a saving relationship with Almighty God and take them to Heaven? I suspect that Sweet doesn’t even believe in the necessity of salvation from eternal Hell. In fact, I suspect that he doesn’t believe in the reality of Hell fire. Maybe he will clarify these things in a future blog, but we will warn our friends to take anything the man says with a grain of salt unless he plainly renounces his own books and repents of the heresies he has formerly taught. Over at the Church of the Nazarene Northwest District, they are promoting a one day “conversation” at the River Church of the Nazarene, on Nov. 20, 2009. This District includes churches in Washington, Oregon, Idaho and Montana. The title of the seminar is “Beautiful Future: Hope for the Church in Transition”. The speaker is Leonard Sweet. I ask the question here: why is Leonard Sweet being invited to Nazarene churches and campuses? Now, you may in turn ask me, why are you questioning whether Leonard Sweet should be in any Nazarene venue, or any Christian venue for that matter? Let me explain. Leonard Sweet is a historian of American culture; a futurist who “sees things the rest of us do not see, and dreams possibilities that are beyond most of our imagining.” He is a preacher and writer who communicates the gospel powerfully to a postmodern age by bridging the worlds of academics and popular culture. Leonard Sweet’s ideology is a mix of Christianity, paganism and New Age. He promotes “the new spirituality”, and the “christ-consciousness”. He promotes visualism, guided imagery, breath prayers; all practices of contemplative mysticism. Please be aware that “new spirituality” is the new way of saying “New Age”, since that already is a loaded word for many people. (Its like putting lipstick on a pig- but its still a pig). The new spirituality includes authors like Eckhart Tolle who emphasizes the “god in you”. He has appeared on Oprah’s show many times. I have never read any complete work by Sweet, but that does not stop me or you from having the discernment to judge from the vast amounts of excerpts from his books that are available, and from his messages on YouTube and other sites. Many emergents make the claim that unless we read an entire work from cover to cover, we cannot get things in proper context and we don’t understand what he is saying. That is not necessarily so, and Leonard Sweet’s writings confirm that he is not orthodox in his “Christian” theology. He also co-authored a book with Brian McLaren in 2003 called A Is For Abductive: The Language of the Emerging Church. So he is also a supporter of this heretical movement. Note: This ecstasy Sweet speaks refers to the New Age ecstasy that occurs in an altered state of consciousness. What Sweet means by “Christ consciousness” can be determined through his book, Quantum Spirituality. For instance, in the Acknowledgements pages Sweet thanks the “New Light leaders” whom he has followed in his spiritual journey. He names interspiritualists/universalists such as Matthew Fox (author of The Coming of the Cosmic Christ), Episcopalian priest/mystic Morton Kelsey, Willis Harman (author of Global Mind Change) and Ken Wilber (one of the major intellectuals in the New Age movement). In the Preface of Sweet’s book (p. 3), he (referring to other New Agers such as Gary Zukav) says: “Unfortunately, little of this literature is known or celebrated in the religious community.” Zukav’s book, The Seat of the Soul, teaches people how to get in touch with their spirit guides. So many buzzwords of New Age, occultism and paganism: Christ consciousness, Kundalini fire, New Light, energy-fire ecstacy, the divine image, the “union of human with the divine”. This is not what you will find anywhere in scripture, and there is nothing in scripture close to suggesting that these ideas are within the bounds of orthodoxy. “How much can you change the church and still have it be part of the Christianity that began with the apostles. These men may consider themselves innovators and think deeply about the future but it seems that they do not know when to stop philosophizing and read the Bible to see if their direction they are going is the right direction. Yet we are reminded by the wisest man who ever lived (besides Jesus), there “Is nothing new under the sun.” The early church saw the Gnostics and Mystics within their ranks and were willing to oppose them; we see those of the same pursuit among us today, but what will we do? Our decision today will affect our tomorrow, our future. Do we return to the ancient path or pursue what is new? Leonard Sweet is a false teacher, according to the scriptures. So why is a false teacher being invited to speak at a Nazarene church? I don’t know, but I believe this is just another example of poor discernment at best, and worst, the intentional acceptance of New Age and emergent ideology into the Nazarene denomination. Another bit of bad news which seems to be too plentiful nowadays in the Nazarene denomination. Unless Leonard Sweet has renounced his New Age ideas and repented, it seems to me that he has no business speaking at any Nazarene church or school, or other Christian denomination for that matter. Please pray for Leonard Sweet. 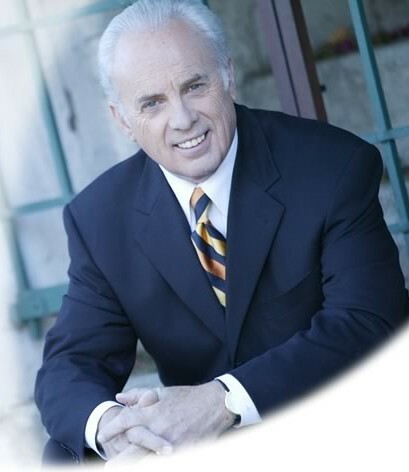 Some places where he has spoken at, or his books are used as a resource, are: Mid America Nazarene University (podcast); Southern Nazarene University in Oct. 2006; Nazarene Eastern Michigan District in 2003; Danville Nazarene in Virginia; Eastern Nazarene College Pastors/Leaders Enrichment Conference in June 2006; Northwest Nazarene University Missional Leadership resource list. Also Tennessee Nazarene District speaker in October, on church growth. He was a featured speaker at the 2003 M3 Church of the Nazarene Conference in Nashville, but his video presentation has been removed from the link I went to. You can see some info about his session here. He is also on the schedule to speak at the National Worship Leaders Conference in 2010 in June and October. (Mike is a featured speaker on the DVD The Emerging Church, which you can receive a free copy by emailing a request to me).